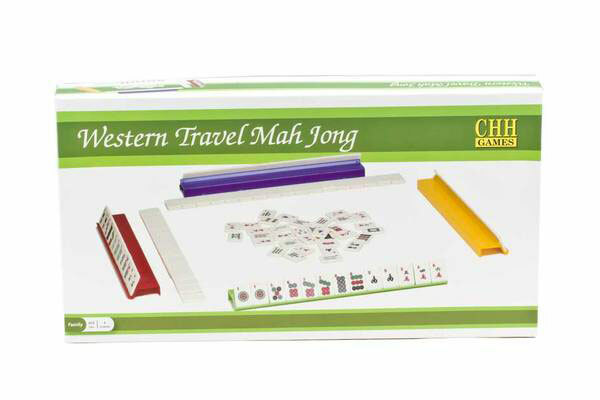 This magnificent Western Mah Jong set features a alligator skin motif with a red vinyl interior that snaps close making it perfect for traveling. The set includes all game pieces, 166 polystone resin tiles, with four trays racks, money holders, four colored trays, chips, and dice, bettor and instruction booklet. This set will deliver endless hours of fun for you and the entire family !